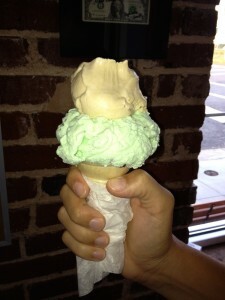 I scream, you scream, we all scream for the Mooresville Ice Cream Company! The summer is winding down, the kids are back in school and the days are getting shorter. Our family took the opportunity to visit a hidden gem in downtown Mooresville a few times over the past couple weeks. Call it a sweet tooth, or trying to get the last moments out of summer that we could. 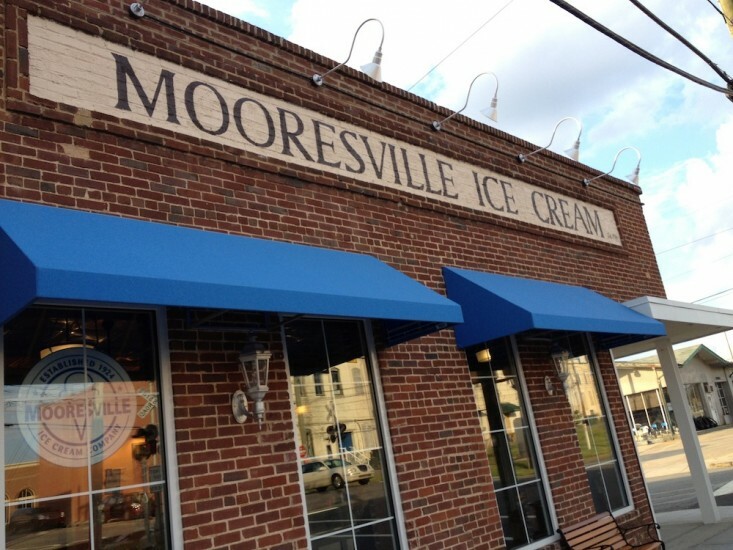 The Mooresville Ice Cream Company, home of DeLuxe Ice Cream and Front Porch Ice Cream, is located in downtown Mooresville on Broad Street. You are able to peak in the glass doors next to the ice cream parlor to get a peak of the magic that is ice cream making! The ice cream parlor also has sherbet for those looking for a lighter option. As school starts and we look for escape from the business of daily life, the Mooresville Ice Cream is becoming a weekly ritual for our family. Giving us time to sit down, talk and remind us that life is about the moments like a great scoop of ice cream with friends or family. Mooresville, NC is located on picturesque Lake Norman just a few miles north of Charlotte along Interstate 77. Known as “Race City USA”, it is the home to many of NASCAR’s most prominent teams as well as some of the nation’s top businesses, including Lowe’s Companies. Additionally, Mooresville offers great family fun attractions making it a great place for stay for business or pleasure.